I confess. I have a thing for tinsel. Not just any tinsel, mind you. I want that wonderful, heavy metal stuff from my childhood, those silvery strands that my father patiently hung on the tree one by one. What incredible dedication. And, what a magical sight to behold! Mom certainly did not have time for that! Taking down the tree was just as time consuming. Off they came one by one to be carefully flattened and saved for another year. What is the best selling item at Celebrate365.com? Surprisingly, it’s not an ornament! 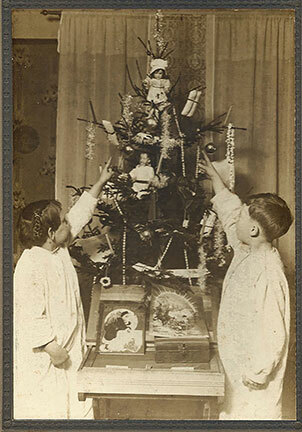 In fact, it is traditional German icicle-style tinsel.How did this tradition begin in our little family? I never knew. 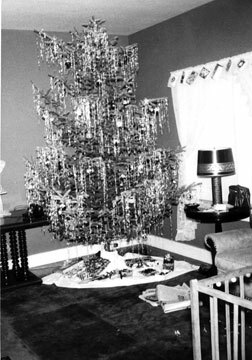 Since decorating the tree was Dad’s domain, I think that tinsel must have been a Mitchell family tradition remembered from his own childhood Christmases in Dayton, Ohio.Wow! Have you ever seen so many icicles? 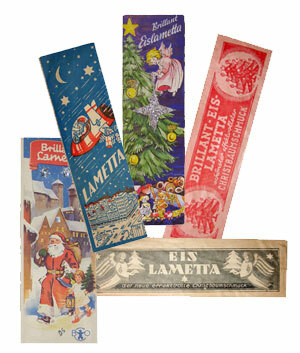 I know that tinsel or lametta originated in Germany in the early 1600s. 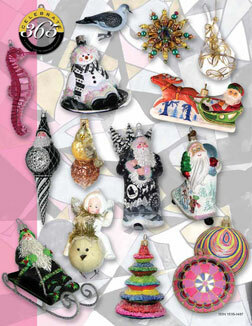 German glassblowers from the Lauscha region crafted crystal ornaments, some looked just like icicles. When the candles were lit on the tree, oh how those icicles glistened! As the years passed, craftsmen created icicles from tin and even silver. 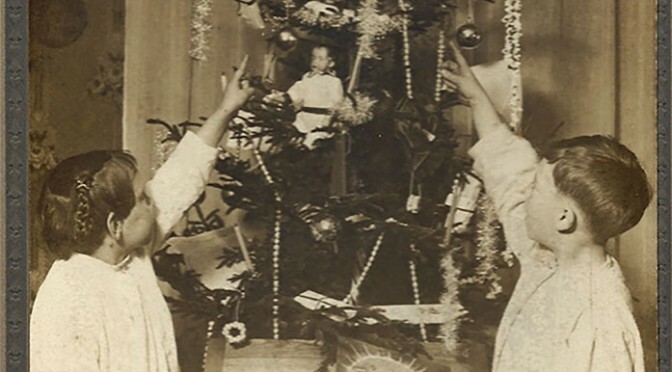 By the 1920s, the time when my grandfather Edgar Mitchell was celebrating Christmas in Dayton, Ohio with his wife and children, German craftsmen had invented lametta, tinsel icicles made from lead. My grandmother’s family was German-speaking. 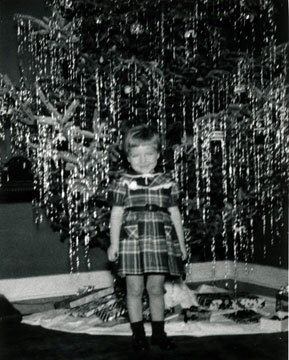 Perhaps that’s how my father’s love for a Christmas tree dripping in tinsel began. 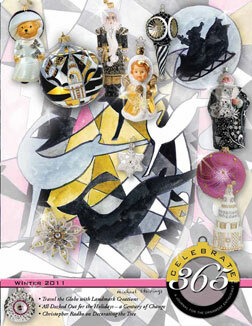 Celebrate365 offers this German tinsel. 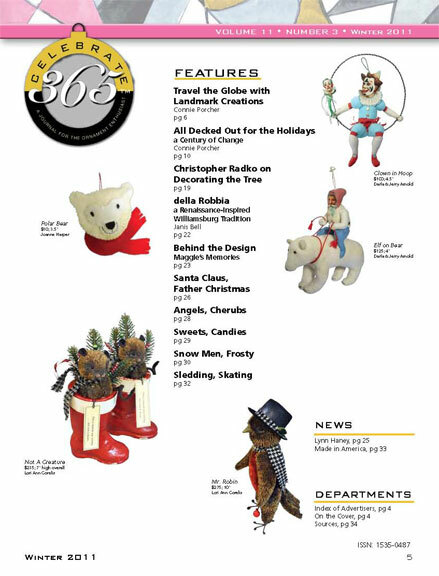 Look what sold at Celebrate365.com last week!